If you think of the beauty of any place, you probably think of something like the above photo. You imagine some famous spot that has some kind of aesthetic value; a place where maybe you could walk around for hours just enjoying the beauty. Certainly Japan has its fair share of that kind of beauty. Over the last year I’ve been able to see a lot of it. 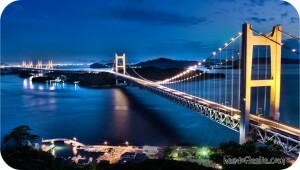 Here in Kojima, there’s the Seto-Ohashi Bridge crossing from here to Shikoku (pictured above). The view of it from Washuzan Mountain is tough to beat! 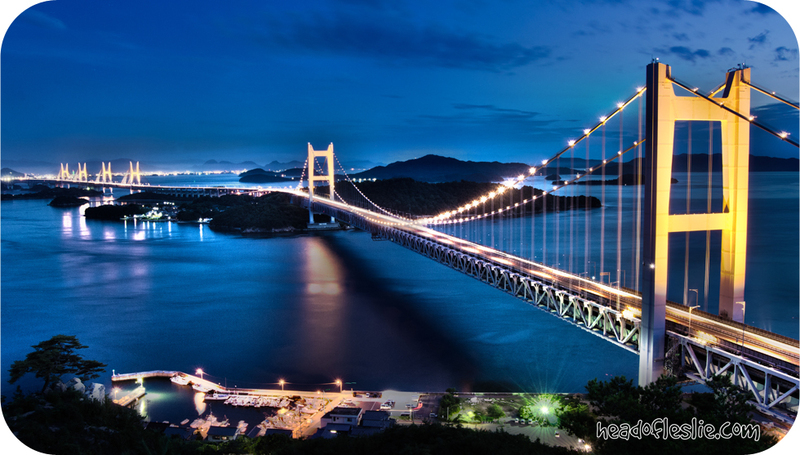 An hour or two south of here, there are multiple sites including Miyajima, Kintaikyo, and Hiroshima. A couple of hours north of here, and you find yourself around Osaka and Kyoto, filled with both ancient and natural beauties alike. All of this within just a few hours in either direction. Add in places like Okinawa, Kyushu, Tokyo, and Sapporo, not to mention the beauty of the seasons throughout Japan (like Sakura season for example), and what you find is one of the most photogenic countries in the world. It is a place filled with jaw-dropping beauty, worth every penny of the flight expense to come see it. I’ve been blessed to have the opportunity to visit and photograph many of these places. I have to admit that I love doing it. If I’m going to get up at the crack of dawn to pull out my camera and tripod, these are the kinds of places at which I prefer to be doing it! Nevertheless, if you asked me what makes Japan beautiful, those are not the things that come to my mind. Had you asked me a year ago, I probably would have mentioned all of that. But after living here for a year, away from any military base, away from most of the comforts I knew in the U.S., and so much else, those are not at the forefront of my mind. They’re there – I appreciate them – but they’re not the first thought I have when thinking about the beauty of Japan. So if this isn’t what makes Japan beautiful, what is it? I’m not sure I can answer the question directly. I can only do my best to tell you what comes to my mind. When I think of the beauty of Japan now, I see the kids playing in the narrow streets between their homes – laughing, jumping, and being silly. I see the school kids riding their bikes to and from school in their sharp looking uniforms. I see the mom playing with her kid on the playground, or the dad teaching his son how to throw a fastball in a small dirt parking lot. I remember the people, both young and old, seeing my children and bursting out with “kawaaiiii!”, enthralled by their large blue eyes. I remember the kindness of countless strangers simply wanting to show some act of kindness to my kids, or even to me and my wife. I remember the patience with me as I incompetently spoke broken sentences of Japanese. I remember the food, the festivals, the ancient rituals, dances, songs, and dress. When I think of the beauty of Japan it is all of this, and so much more, that now comes to mind. Culture is a beautiful thing. It’s disappointing to me that so many people are closed off to other cultures, not wanting to get out of their comfort zone. I can personally attest to you what you are missing when you take that approach. Coming here was not easy for me. I had a child already, nearly 2, and a pregnant wife. I was leaving a flexible job of frequent time with my family, to a job where I clock in, clock out, and wear a uniform every day. The first several months were unexpectedly difficult for me. But in that difficulty I came to appreciate something about this place that you just cannot do any other way. There is a beauty in this place that is unique in every way – far more unique than a beautiful landscape, and far more powerful in its beauty as well. Early Tuesday morning, my family will make our return to the U.S. We deeply desire to return to this place and work more and harder than we have, and God willing this will occur. But if not, I know this: God has blessed me to experience this place already. He blessed me with challenging me and teaching me through this experience. I know I have failed some of those challenges and lessons, but I hope its a net gain for his cause! And no matter what, I hope that he blesses this country in a very deep and meaningful way.